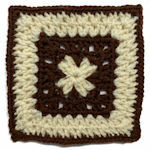 Clusters in the Center Square -- $1.99 A Crochet pattern from Julie A Bolduc. 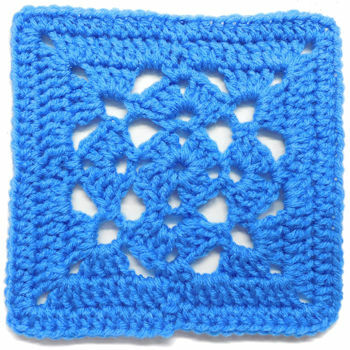 This 8 inch granny square is fun and easy to make and would look great made into an afghan made up of various colors of multicolored yarn with white. It is also a great way to use scraps. 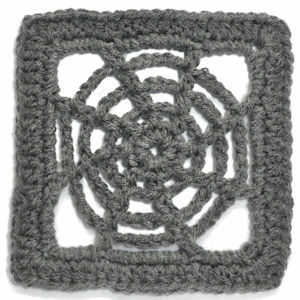 I used 2 different plies of yarn. The white is sport and the multi is worsted weight. 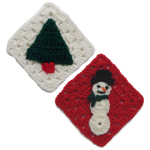 The thickness of the 2 yarns is so close that you almost cannot tell the difference.